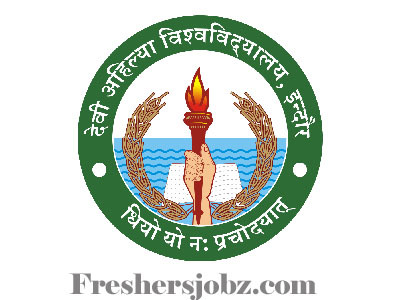 Devi Ahilya Vishwavidyalaya Notification 2018.Devi Ahilya Vishwavidyalaya of Madhya Pradesh has released a notification for the recruitment of Teaching posts in the subjects Biochemistry, Chemistry, Biotechnology, Data Science, Vocational Studies, Economics, Education, electronics, journalism, Law, English, Hindi, Mathematics, Pharmacy etc.Check the eligiblity and notification prior to apply for the positions. ME/ M.Tech/ Ph.D/ Graduation / MA/ PG holders in relevant subjects can apply for the posts. In between 21 to 35 years candidates can apply for the notification. Hired contenders for teaching jobs will get pay of Rs.35,000/- per month. Through interview test aspirants will be selected. Mode of applying for Devi Ahilya Vishwavidyalaya is through online mode. From 04th October 2018 to 25th October 2018 aspirants can apply. https://davv.mponline.gov.in/portal/services/DAVVDASHBOARD/DAVVHOME.aspx is the through which eligible persons can register.